As we begin wave goodbye to 2014, it’s a good time to look back on some of the great design this year has had to offer. 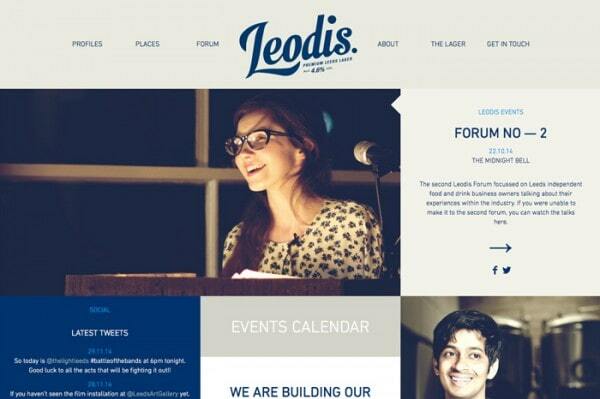 Many of the trends of 2014 showed up in the best websites designs (and redesigns) out there. Web designers took time to focus on design trends – flat and almost-flat were still big, minimalism, parallax and video sites were also popular. Another key component of good design is the inclusion of mobile and responsive design plans and usability. What good is a website if any user on any device can’t access it. So here are 20 of the best websites of 2014, and why they earned consideration. Each of these sites has been featured in the Awwwards gallery this year. 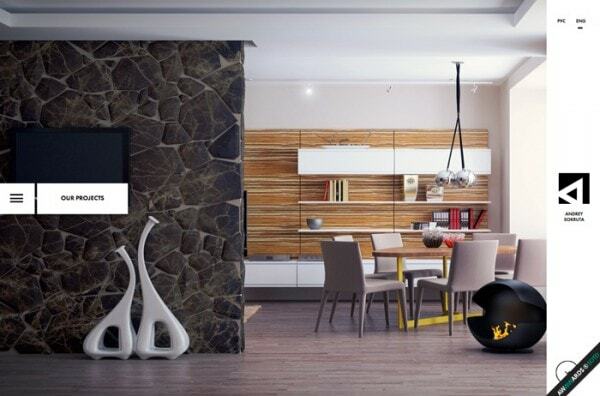 Make sure to visit the site regularly to be inspired by great design happening every day. 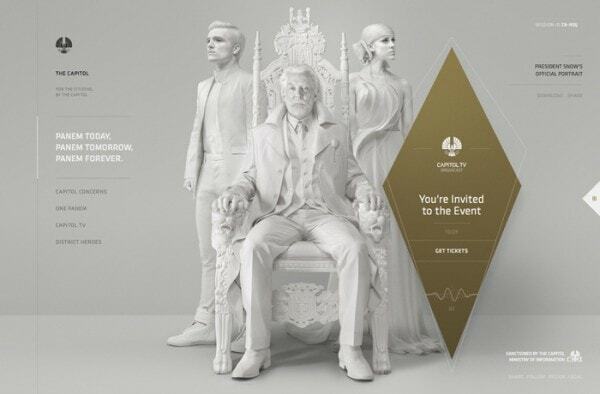 Based on the blockbuster movie for The Hunger Games series, this website features a stark look and feel that matches the tone of the film. 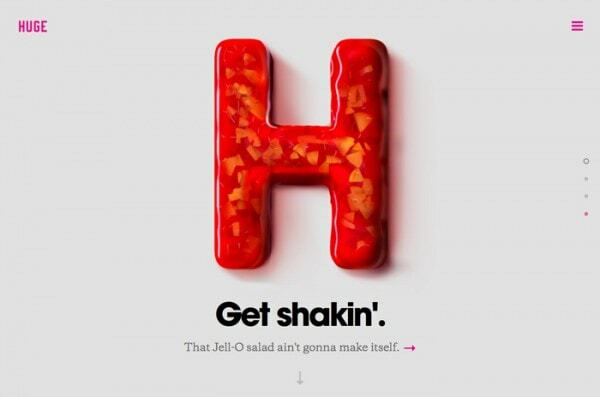 It includes a simple style with bold type and a simple color palette with plenty of parallax scrolling features. The site makes you feel like you are part of the action of the movie with messages, videos and other content. This might just be one of the most stylish sites of the year, combining quite a few trends in a way that just works. The site is built around full-screen hero images. Simple white type helps you understand the message and each button uses the ghost style. After he main screen, the rest of the site it rather stark with images against a white background with few embellishments. 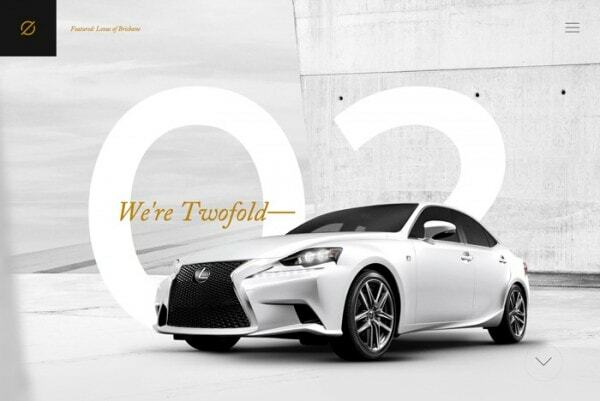 Big, bold images with simple navigation and a puzzle-style slider. Those are the tricks that make this site so visually appealing. There are also plenty of extras as well: Hover over the buttons for a fun effect or pop out the nav on the left side of the page. 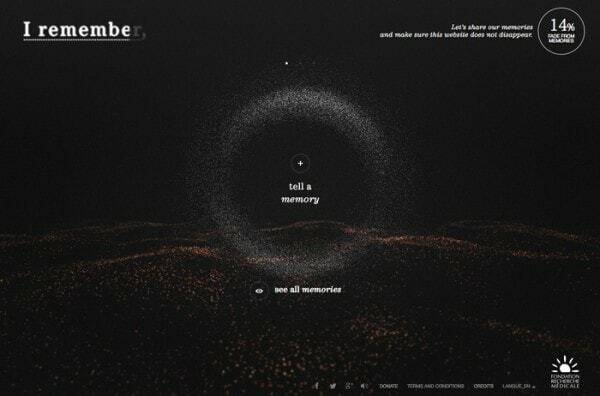 Built as a project to raise awareness about how Alzheimer’s disease impacts the brain, this site is visually intriguing and quite interactive. The stark black coloring helps create the right tone for the site while the little lights are “glimmers of hope” as you learn about lost memories from the illness. On of the big trends of the year that may be harder to see is that websites are more and more trying to tell you a story. That’s what this site aims to do by creating brand and personal connections. 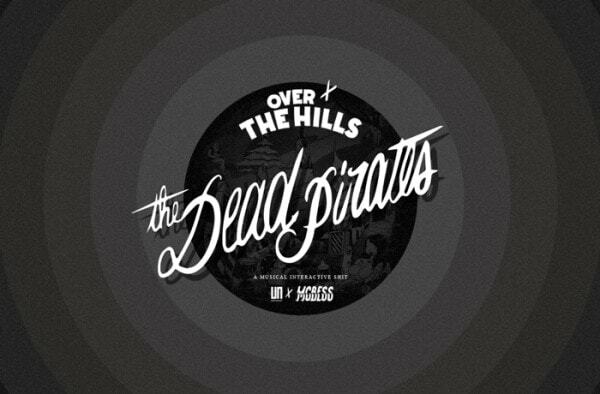 The imagery and typography are a fun combination with simple buttons and a unique style. Minimal design has never been more beautiful. 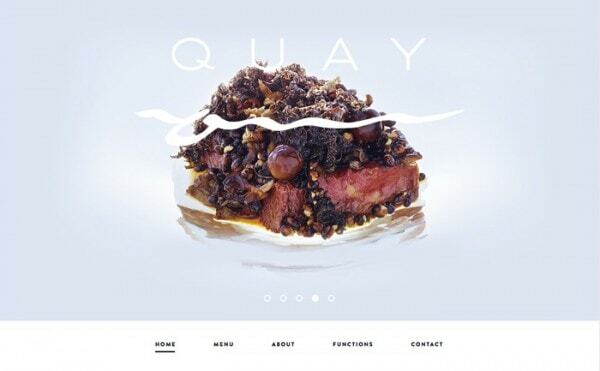 Quay restaurant uses beautiful photography with a simple backdrop to entice customers. The full-screen slider is perfect, load quickly and paces well and the navigation is dropped to the bottom of the screen for a better, page-style experience. (With a scroll, the navigation then locks to the top.) The website design exudes class and sophistication. 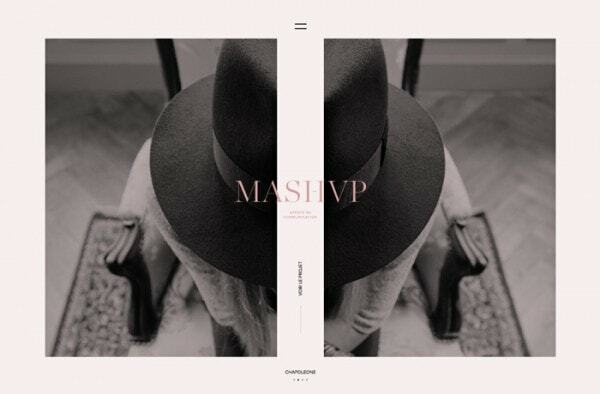 Video experiences were one of the biggest web design rends of 2014 and this site uses that well. 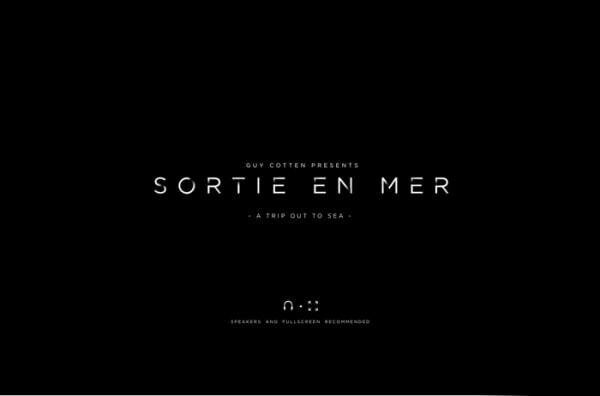 The websites opens with a video – almost like you are in a movie – and then you can make choices with your mouse to impact how the film plays out. The site and effects are stunning and make for an experience that few other sites can claim. 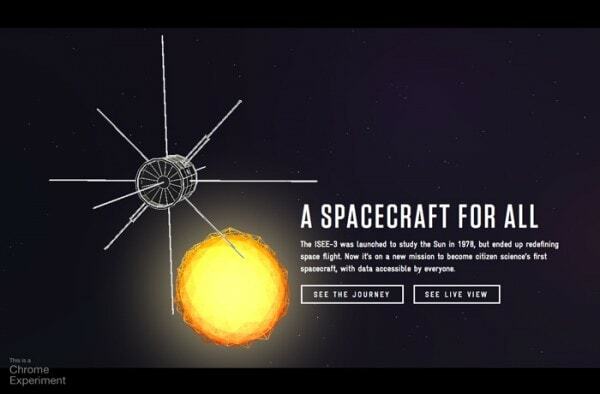 Built as a Chrome experiment, this website takes you through the course of the ISEE-3 spacecraft. You can view a live image of where it is currently or watch a video of the craft’s past flights and mission. It’s a site that has a simple and modern design and encourages interactivity. 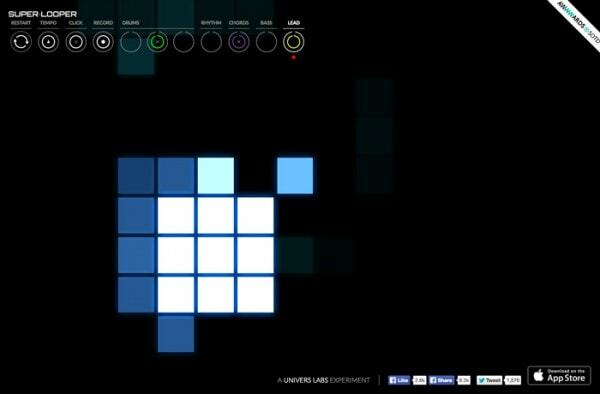 This fun game lets you create music and shows it visually. It usable, fun and addictive. Plus the bright color choices against a dark background make it even more visually engaging. Another site packed with animated and video effects, Jam3 includes a simple homepage and nice effects for clickable elements throughout the site. Designed in a more minimal style, the site uses photos well against a white backdrop with hover effects for usability. 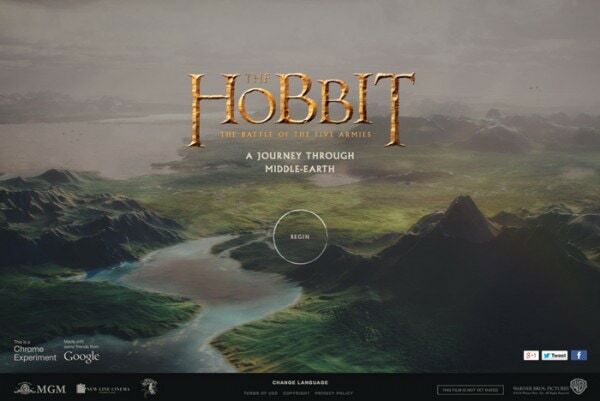 Website design for movies has become quite impressive in recent months (and in particular the last two years), and the site for the recent “The Hobbit” film is no exception. With nice typography overlays on still and moving images, the experience is game-like and interactive. This site screams simplicity. But it has a twist with photos that are paired to make a single image and scrolling effects to see other images. 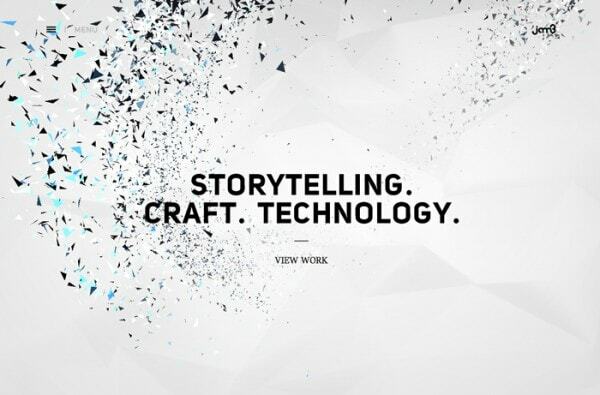 Click into the navigation for a full-screen video that shows you more about the agency. There are so many features on this site that you could spend a day with it. From animation and video to a full musical experience, you will want to play on this site. The design is equally nice with stark features in all black and white. 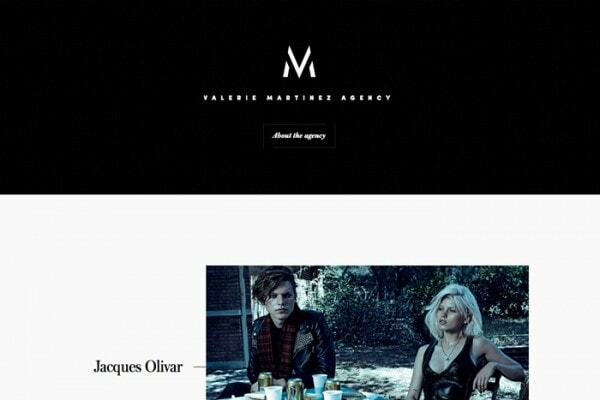 The agency site embodies the idea of minimal, but adds touches of sophistication. Gold coloring and the blinking lights on the homepage, for example, give the stark nature of the site something extra. Nice animation effects for images on scroll add to this feel. A site like this works best with little touches of the unexpected. This site really takes concepts of flat design and then takes it to another level. 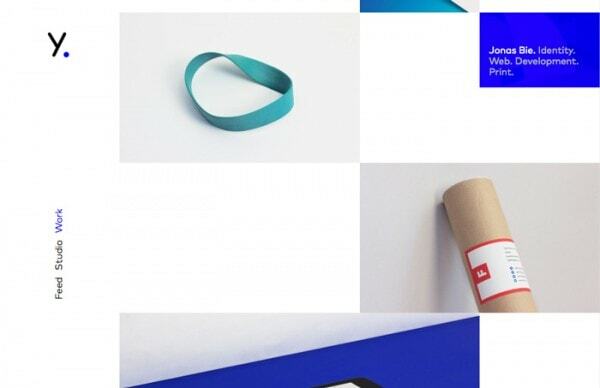 Beautiful simple photography in flat blocks with simple typography is simple and engaging. What makes it so different is the color palette, which completely breaks the idea of “flat colors.” The site also plays of up social media style and showcasing with image shapes and toning that resemble the popular social sharing platform, Instagram. While this site may appear simple on its face, it is full of hidden gems. In the header, there’s a ghost button (super trendy) and each of the image animates to help you click through. The opening animation on the load screen is equally impressive – it almost went away too quickly. 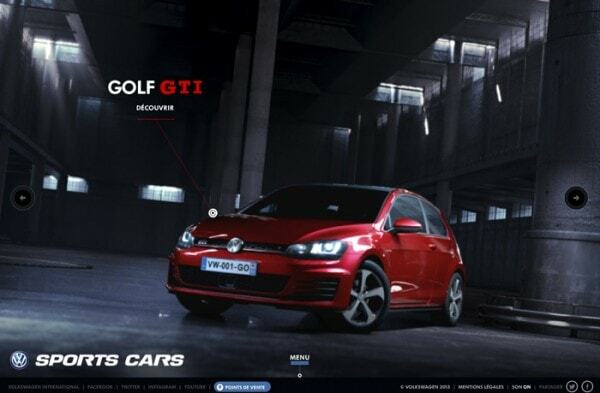 Set up in a movie-trailer or video-game style format, this website lets you play with a sports car as a sales tool. What really makes this site work is the meshing of textured backgrounds and super-sharp photography. The design team also used super simple typefaces to make the smaller words easy to read and follow. 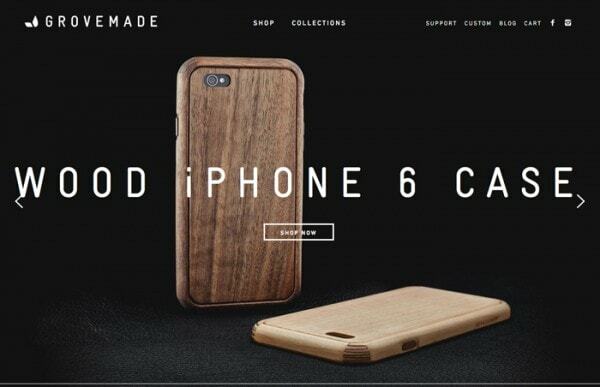 The fun mix of minimal style, simple photos and little user elements make for an engaging site. The blue, flat-style pop-up menus over each photo create a fun juxtaposition between flat design and the realism in each photo. 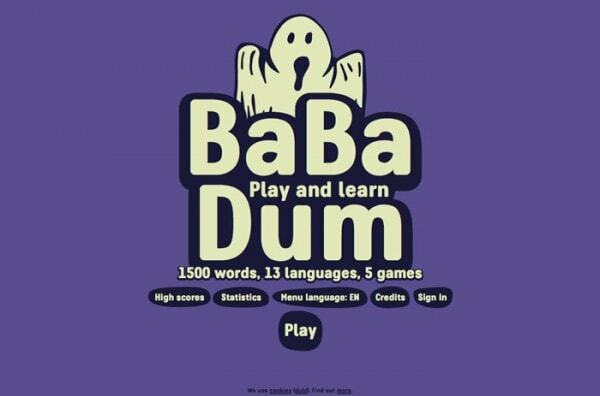 Website gamification is still going strong and this site proves that games can look fun and teach you something. The game style uses illustrations and bright color to guide you through learning simple words in a variety of languages. There are too many new websites each year to even list them all here. Is there a site you love that missed this list? Share it with us in the comments and make sure to include why you like it so much. I am big fan of minimal-like designs. So I found few of these really interesting. Sometimes beauty is only on the surface, as well as in the eye of the beholder. I only looked at the first few sites and stopped because I was appalled at how bad the underlying mark-up is on these sites. Thesy are full of usability issues for people with disabilities who use assistive technologies to navigate the web. HTML elements should be used for their semantic nature and NEVER solely for visual appearance. If you were really rating great designs, you would find beautiful web pages that also conform to web standards as recommended by the World Wide Web Consortium (W3C). Those sites are going to be more useable to the widest variety of users than the ones you have pointed out here. Oh get off your high horse. 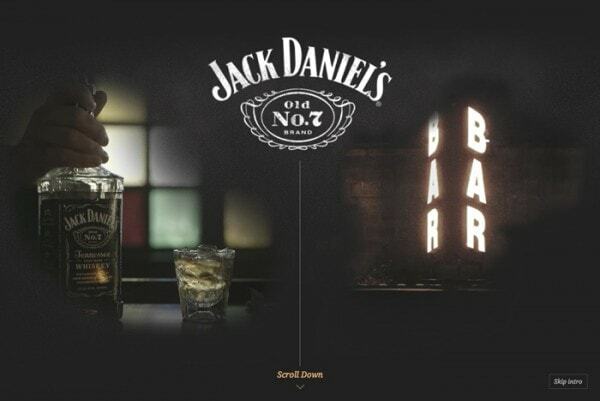 For these sites to achieve their goals, they HAD to be visually exciting/appealing. However, being accessible to tiny minorities of web users who aren’t part of the target audience anyways DIDN’T MATTER. The fact that you would sacrifice something absolutely necessary for something completely inconsequential shows an extreme lack of understanding and appreciation for nuance. That is just pure ignorance. Why should you exclude a whole group of people? The World Wide Web belongs to ALL OF US; not just those who don’t have disabilities. You may not think they are important but there are more people with disabilities than you know. Why would you say people with disabilities aren’t a part of a site’s target audience? Folks with disabilities come from all walks of life and have many different interests. Besides, I think you totally missed the point. The problem isn’t with the visual designs of these sites. The problem is with the really poor mark-up the sites are created with. Because many of them are coded so poorly, problems don’t exist just for people with disabilities; they exist for everyone. For example, did you notice how long these sites take to load? Is that acceptable for you? Try accessing them again from a mobile device. Many users, disabled or not, don’t want to wait that long. Usability guru Jakob Nielsen says users loose attention after 10 seconds. A web site can be both visually appealing, AND adhere to current web standards. There is no excuse for why one should have to take precedence over the other when they can both live symbiotically. I agree with you Mick. The less the better for me. However I don’t like side white borders, which you see a lot these days. But some of these are really good. Thanx for the post. Oh My…. if these are some of the best sites on the web we are all in a heap of trouble. I only checked out 6 of them before I got tired of the slow page loads and cryptic navigation. Most of the users that I deal with would never be able to get off of the home page. It’s sad that this is the way designers think web sites should be as the UX is absolutly terrible. Also, I would like to see other best-design sites like magazines or ecommerces where the creativity is more reduced than in landing and web apps is. Someone said this while describing iOS 8 and while I thought it a bit snarky and jaded at the time, the description has stuck with me. Now I know why. It seems that designers today only know one style and minimalism has become a shorthand for “good/high end design”. Which is rather sad and limiting. It seems that web design is trending more in the direction of fashion with arbitrary trends that change every 6 months rather than focusing on a set of core principles that make designs timeless and practical. That Hobbit site is impossible to navigate and I had no idea where I was going or what I was looking at. I thought we had already hammered out what a good functional menu looks like. What are these newfangled janky forms of navigation? Someone said “cryptic” in these comments and that person is absolutely right. I Googled “best website designs of 2014” in hope of inspiration but all I found was relentless minimalism and vapid trend following. It’s nice to see everything rounding into shape as the hype of “HTML5 will destroy everything Flash tried to do” has worn down and the constant responses us older designers had of “it’s about the designer not the program” feel more and more relevant. If Flash sites had this many load time problems and compatibility issues people would lose their minds, but since it looks new it’s okay? Most of these sites were almost completely unusable, and worst of all (since people are excusing that by saying they look pretty) many of them are starting to look identical. Everything people expected HTML to do it’s not doing here and by featuring poorly done but pretty stuff like this you’re only exacerbating the problem. Up next we’ll talk about what a miserable failure HTML5 has been on the animation and game creation front after all the talk about how amazing it would be for those.